Hiro & Yoshi (Twins☆) Appearing in Upcoming Movie "帝一の國 (Teiichi no Kuni)"! | VKH Press – J-Rock & Visual Kei Coverage Worldwide! Home / News / Twins☆ / Hiro & Yoshi (Twins☆) Appearing in Upcoming Movie "帝一の國 (Teiichi no Kuni)"! Hiro & Yoshi (Twins☆) Appearing in Upcoming Movie "帝一の國 (Teiichi no Kuni)"! Get your popcorn ready because an interesting movie is about to premier in Japanese cinemas! 帝一の國 (Teiichi no Kuni), based on the manga series by Usamura Furuya, will get a live-action version on April 29th with actor Masaki Suda in the leading role! 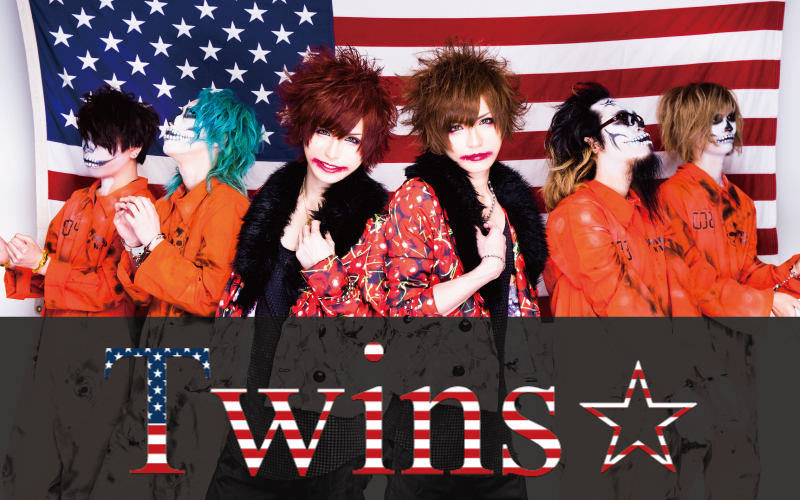 Those aren't just good news for manga fans but also for everyone following Twins☆, former V-last. members Hiro and Yoshi's new band! Both of them will be appearing in the movie playing the roles of Shuuichirou Mori and Shuujirou Mori. On their official twitter account they are already posting pictures taken during the production, so take a look here.